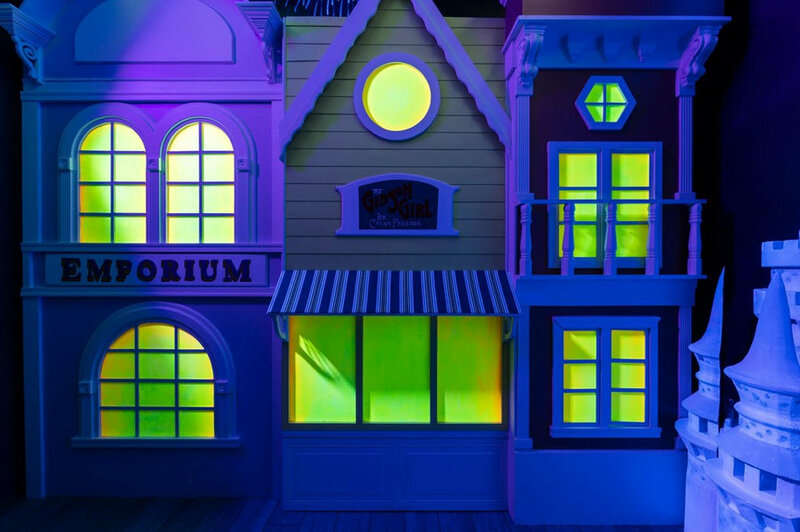 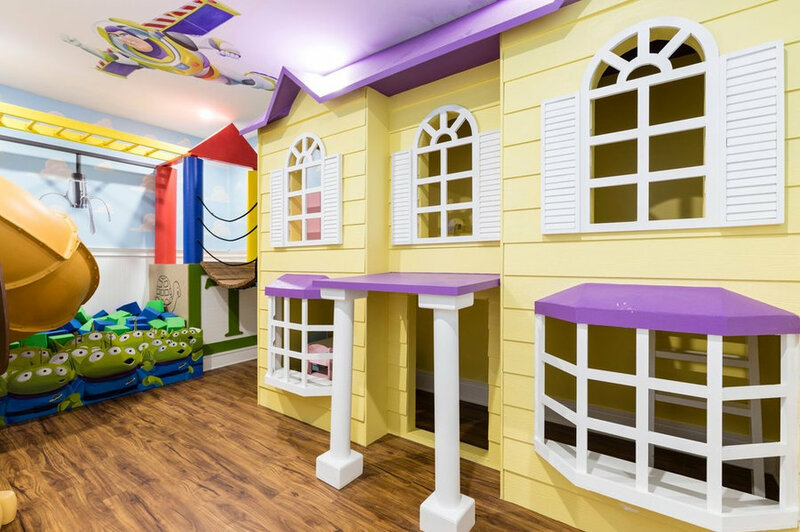 Have some fun creating a unique and happy place for the little ones in your life! 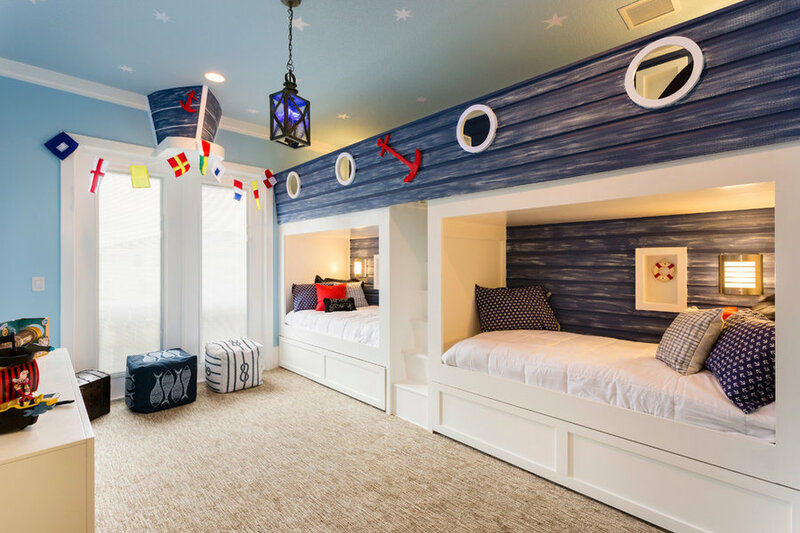 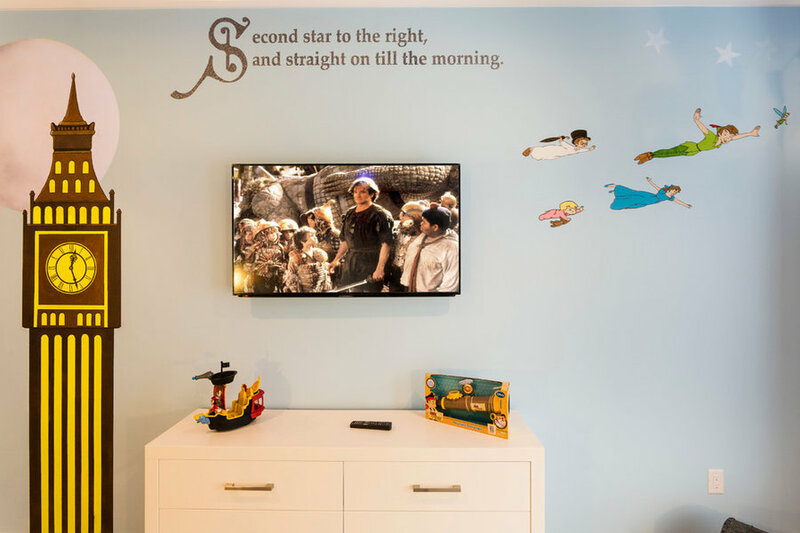 Here are some of our favorite themed bedroom design ideas for kids. 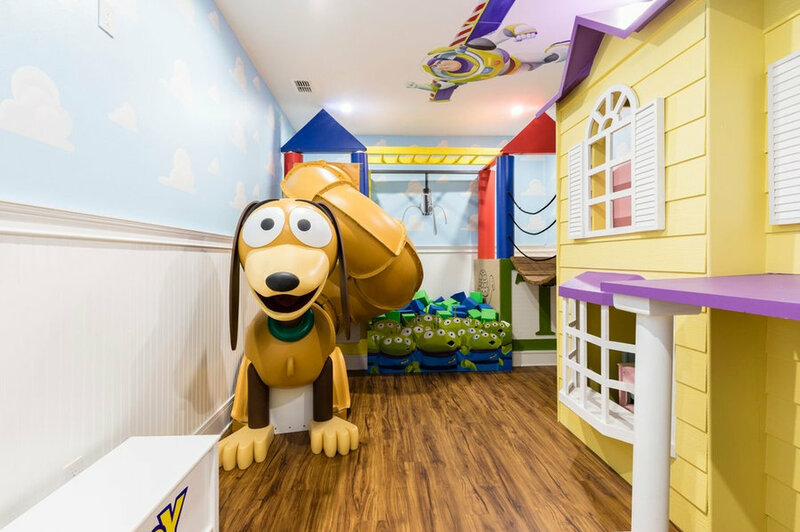 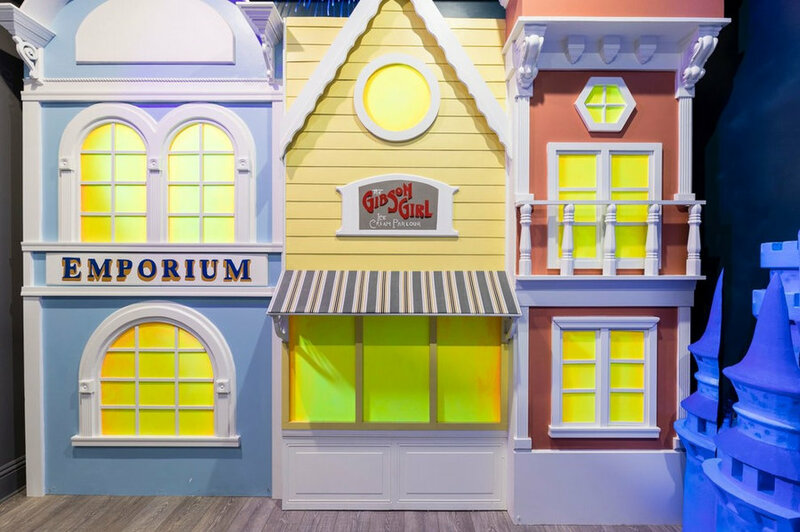 This Toy Story themed play room includes child size doll size, bridge, bouncy ball area and slide. 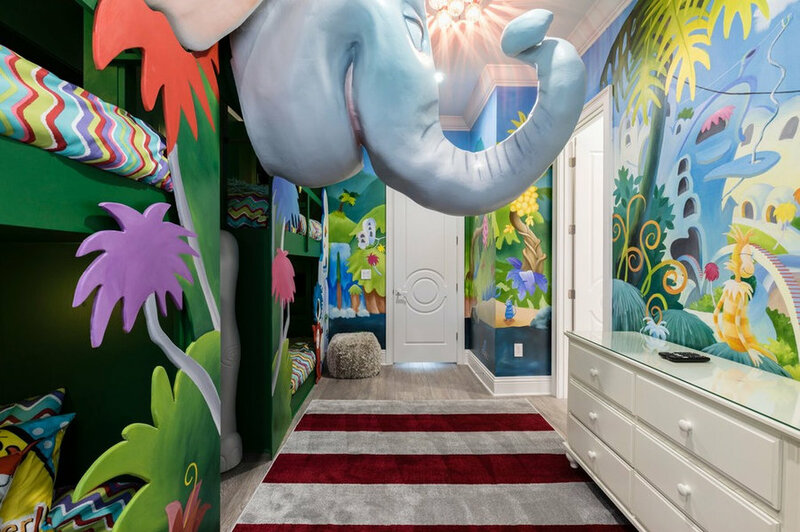 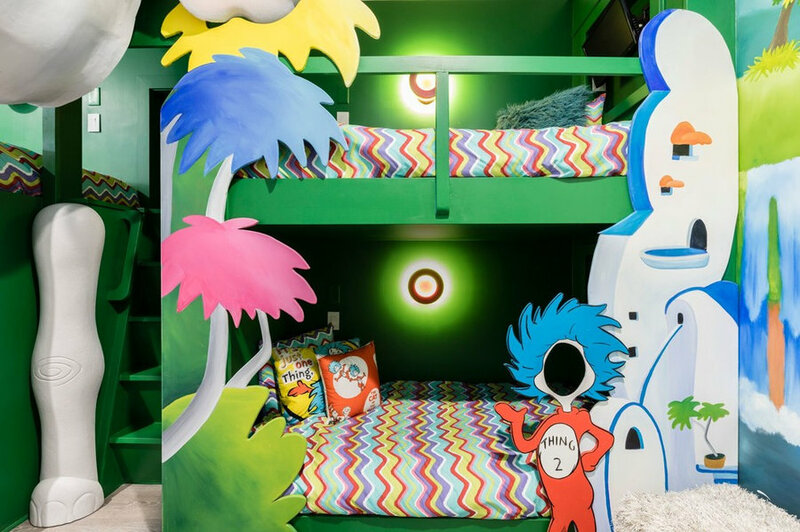 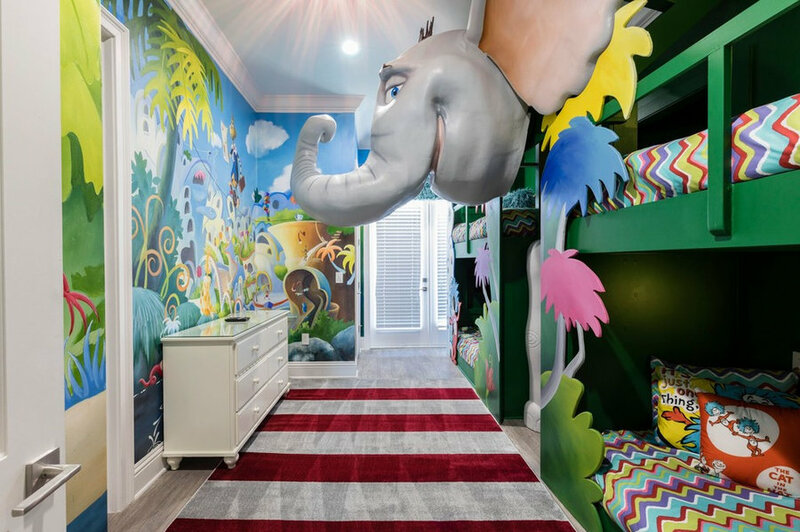 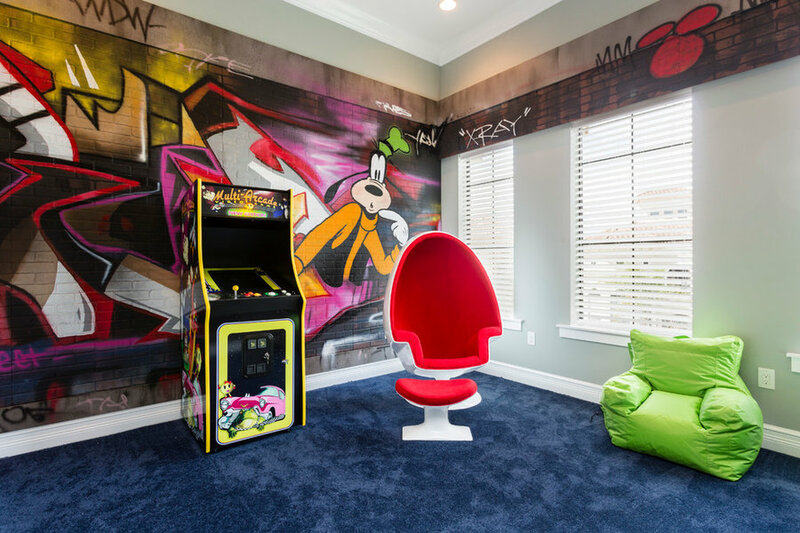 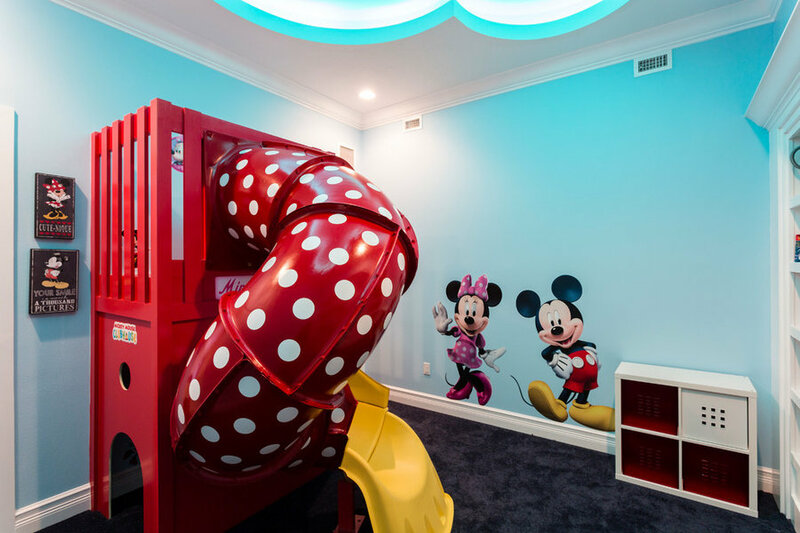 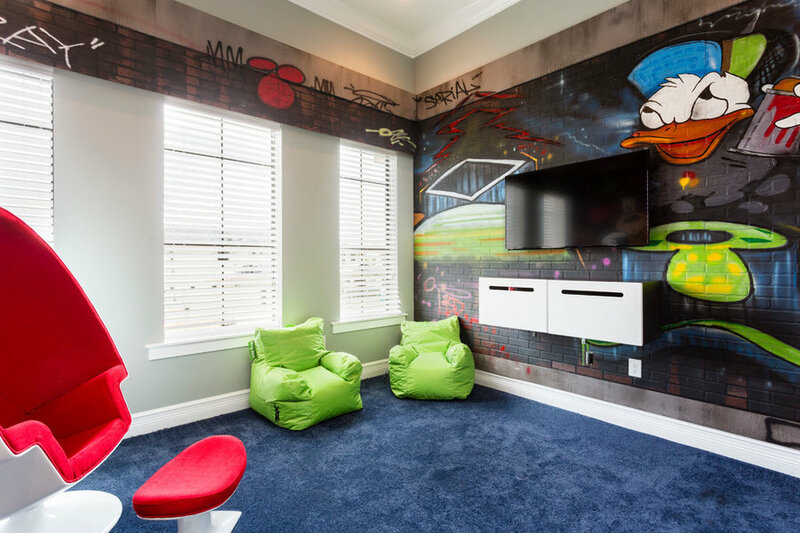 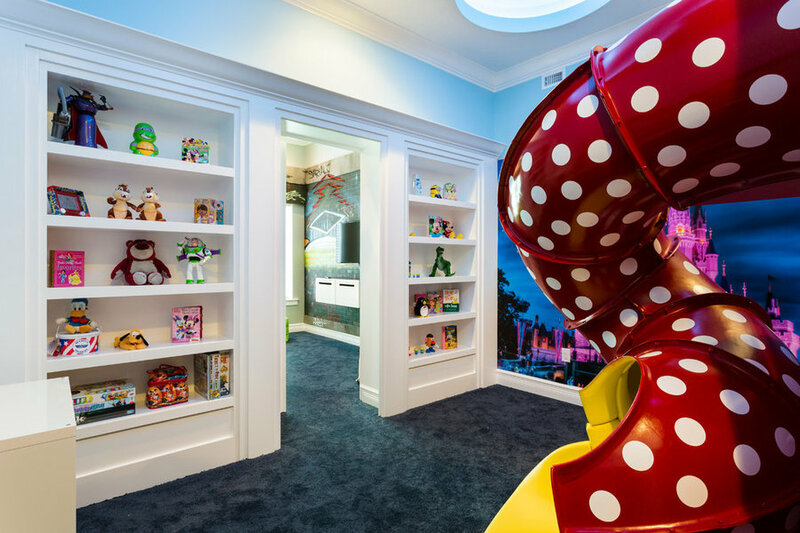 Horton the elephant is the ultimate draw for this amazing Dr Seuss kids bunk room. 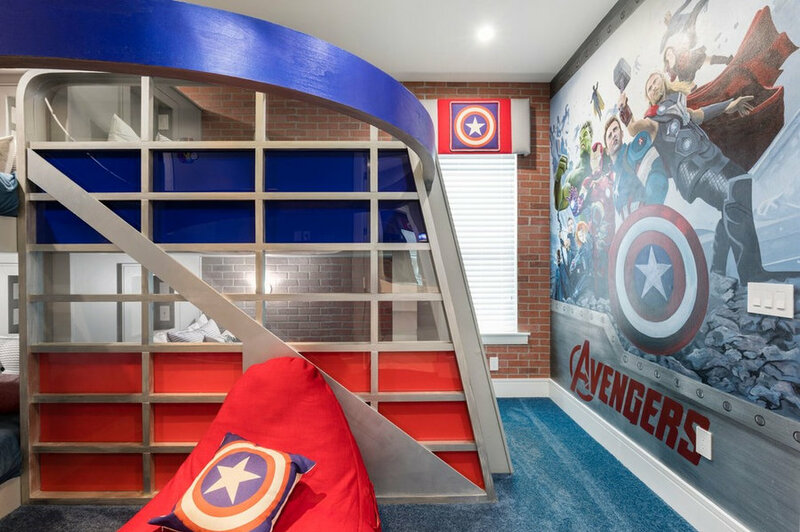 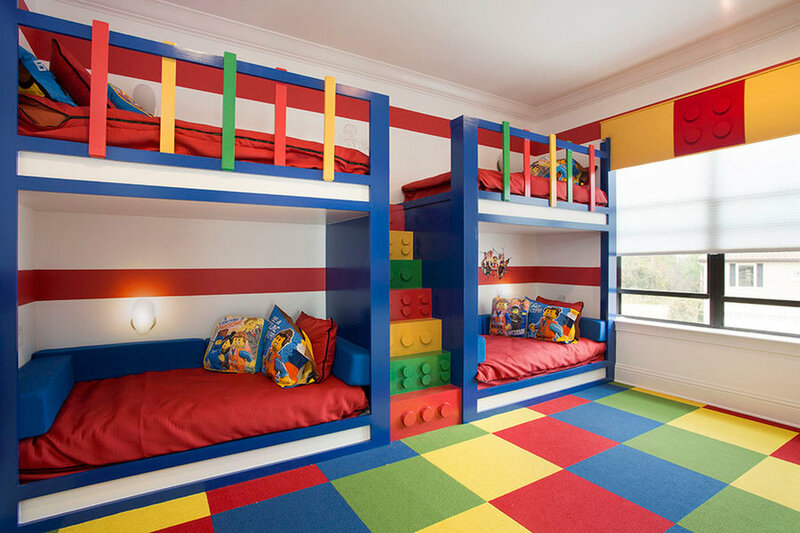 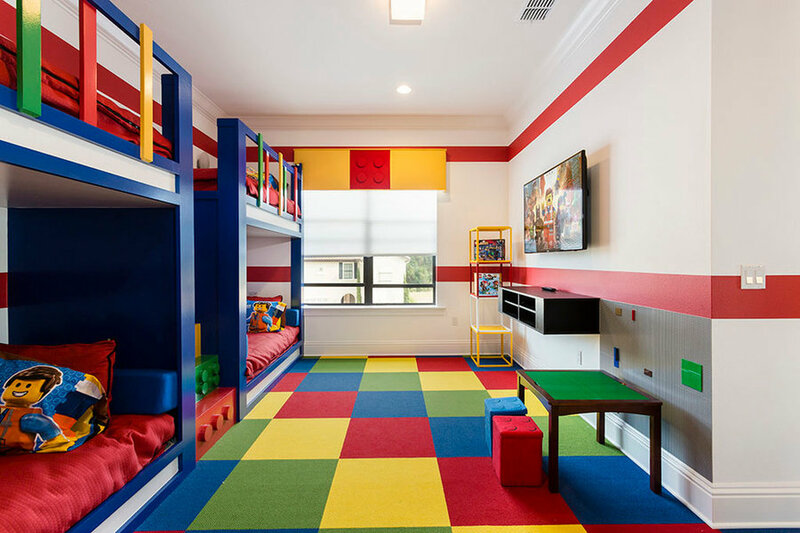 Feel like your an Avenger in this life-like kids bunk room. 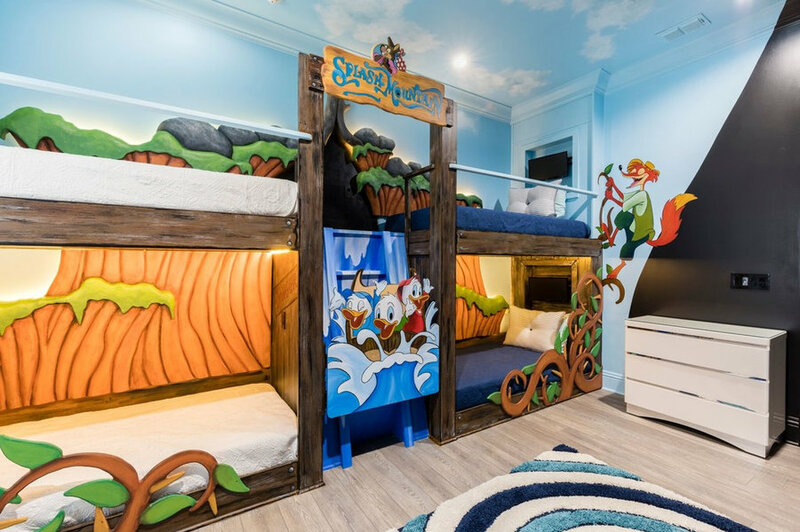 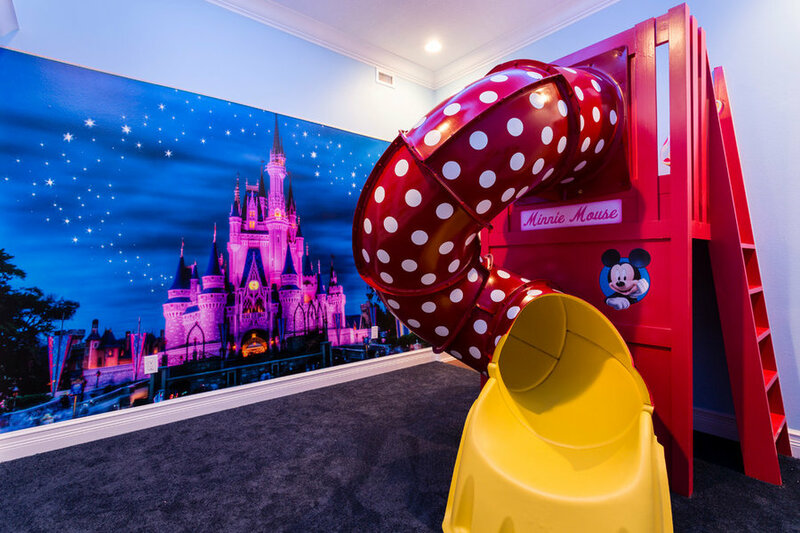 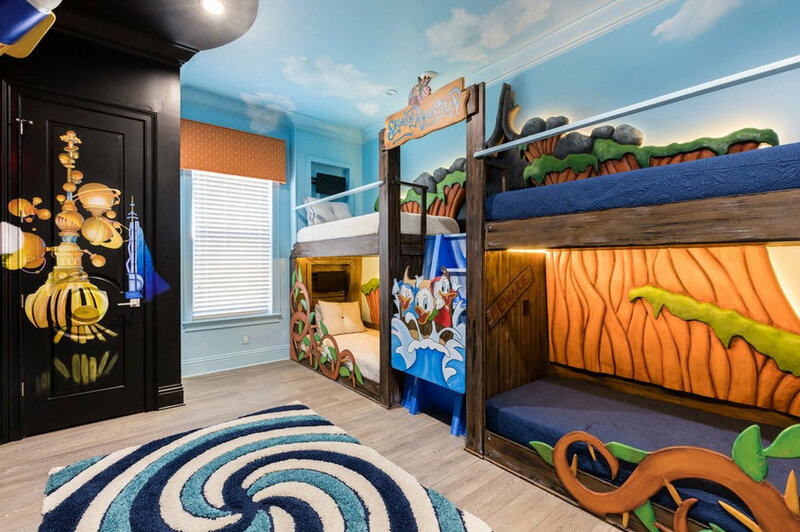 Feel like your at Disney's splash mountain while staying in this out of this world kids bunk room. 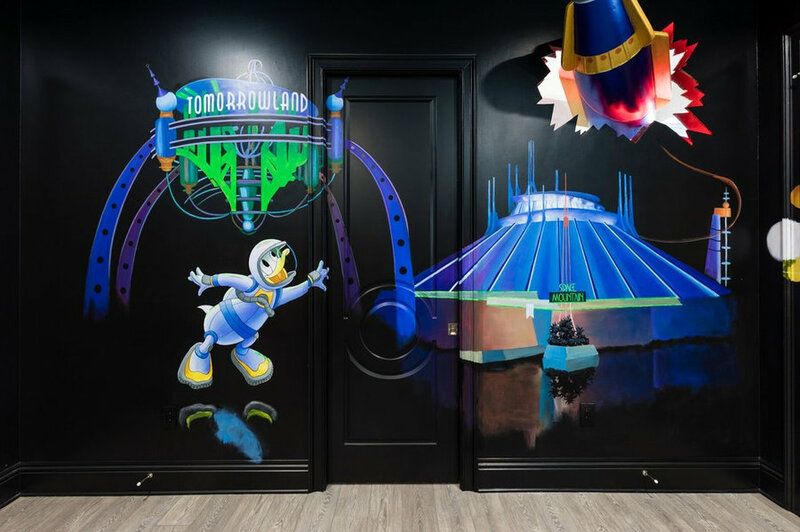 Feel like your at Disney's Tomorrowland with Donald and walk thru the door to hidden play room. 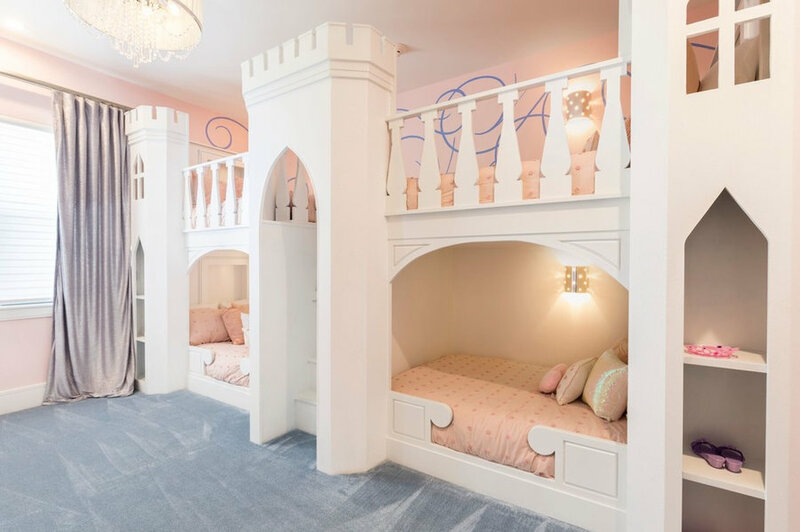 This castle-like bunk bed with a slide is any child'd dream. 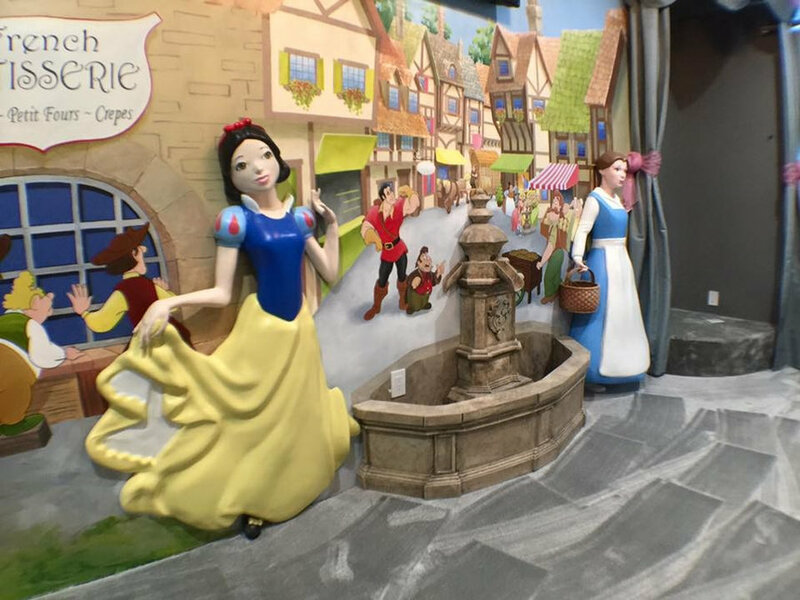 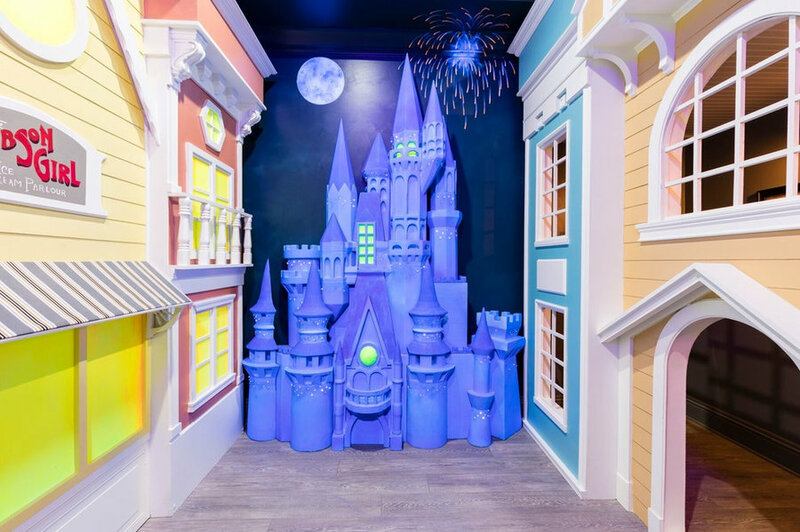 This dimensional Disney princess wall is so exciting for any little child's dream, even including a stage with outfits to play in. 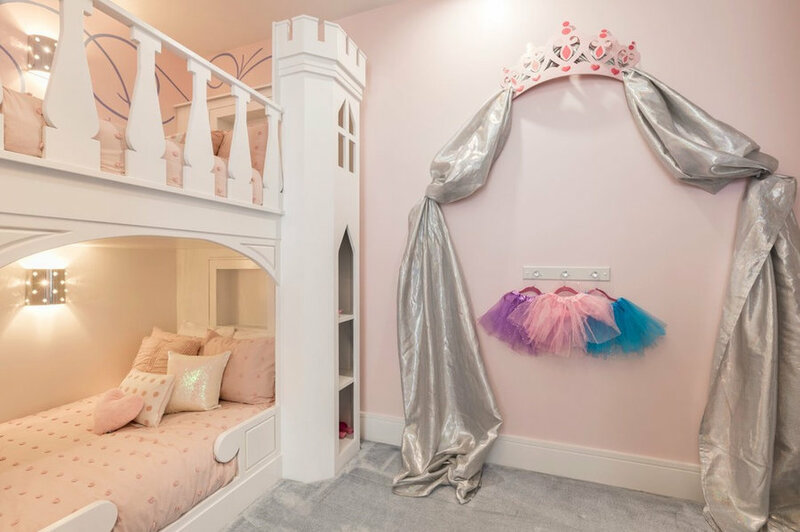 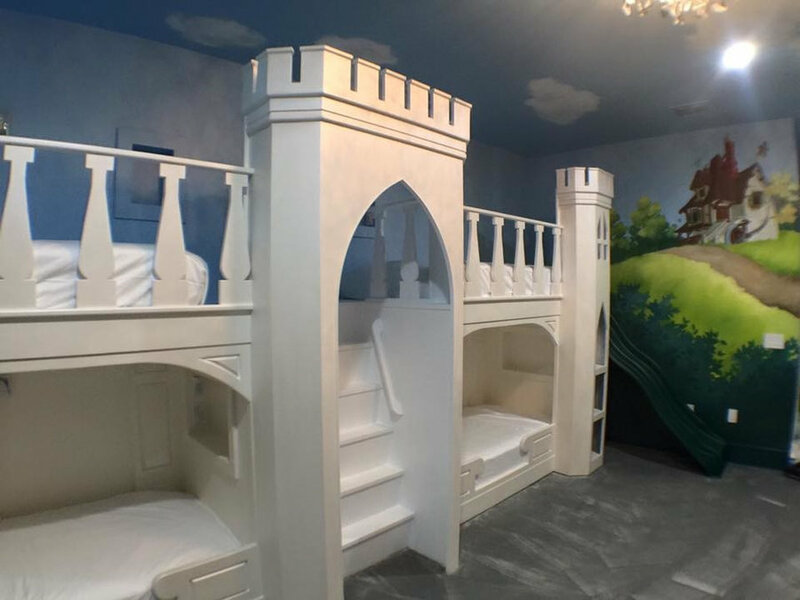 This princess theme kid's room includes dress up clothes and toys in a castle like bunk bed. 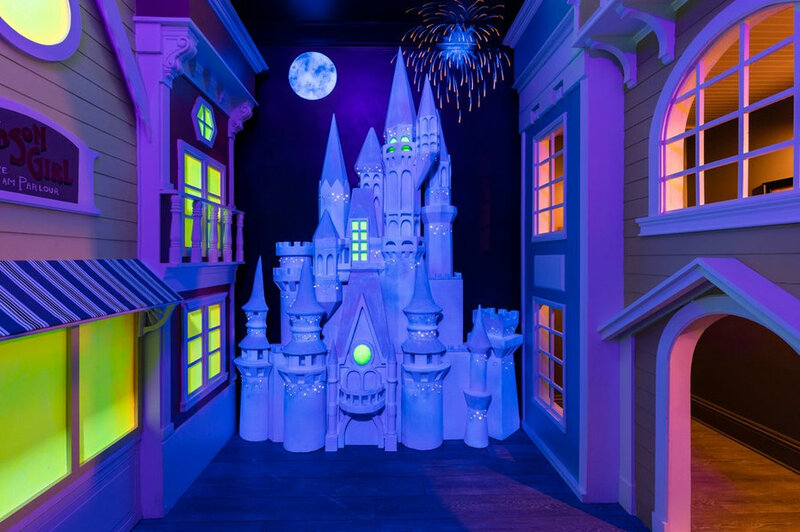 Feel like your at Disney's Magic Kingdom with Cinderella's castle!